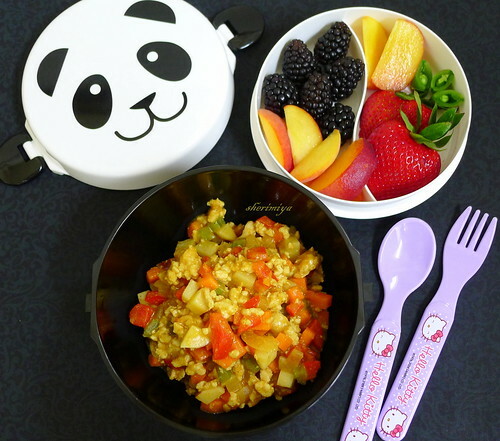 Panda Curry Bento Bowl, a photo by sherimiya ♥ on Flickr. Can I have bento in this panda bowl too..?? Thanks for the heads up about the fruit. On Thursday I went to the farmer's market here in Monterey and wow the fruit was so good.